Innotion Enterprises will be attended the Inman News®, Real Estate Connect® conference in New York, January 16th-18th. IEI and other industry leaders were on hand to discuss current trends and technology, the future of the real estate industry, and how to leverage coming changes. IEI’s Director of Business Development, Christopher Crippen, discussed Innotion projects, including our new strategic partnership with US Residential Asset Fund. Innotion Enterprises, Inc. was featured in Hispanic Business magazine’s list of the 500 most successful Hispanic-owned companies in America for 2012. Innotion appears on the Hispanic Business 500 list along with other industry-leading U.S. enterprises, such as MasTec and Brightstar Corp. Innotion placed 146th out of 500 hispanic-owned businesses nationwide. Innotion Enterprises, Inc. was featured in Inc. magazine’s list of the 500 most successful companies in America for the second year in a row. The Inc. 500 list is an elite grouping of independent, privately-held businesses that represent the pinnacle of American Innovation. Innotion placed 80th out of this competitive 500-strong field, up 114 places from 2012. Innotion’s 3,500% three-year growth rate was the 2nd strongest showing in the Real Estate services category, and 4th strongest of all companies in the DC metro area. Innotion Enterprises attended the 6th Annual Mortgage Servicing Conference in Dallas, Texas April 17th-19th. IEI and other indusrty leaders were there to discuss the latest trends in the housing sector, and swap strategies for the future. The IEI Business Development Team was glad to talk shop, and they are pleased to finally announce the winner of our Weber Grill Giveaway! Click here to find our more. Innotion Enterprises, Inc. was featured in Inc. magazine’s list of the 500 most successful companies in America. The Inc. 500 list is an elite grouping of independent, privately-held businesses that represent the pinnacle of American Innovation. Innotion placed 194th out of this competitive 500-strong field. Innotion’s 1,563.8% three-year growth rate was the fifth strongest showing in the Real Estate services category. In 2011, Washington Technology Magazine ranked Innotion Enterprises, Inc. 26th out of the 50 fastest growing small businesses in the government contracting market. 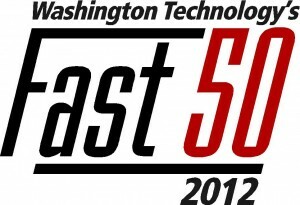 According to Washington Technology, the yearly “Fast 50” rankings highlight contractors that “have shown an ability to adapt and change with the market.” An innovate business model and vigorous expansion over the last five years allowed Innotion to achieve the fourth highest compound annual growth rate in the Professional Services category, and 26th highest overall.